Manitoba born, the child of fun-loving 60's musician mother and a poetic (but tone deaf) father, Kerri showed her artistic promise early. Her parents gave her a karaoke machine during her elementary school years, and by the time she emerged from her room for her high school graduation, she was ready to begin sharing her music with the public. At her parent's insistence (?You need to learn to back yourself up!? ), and to her roommate's distress, Kerri taught herself to play guitar while attending college. At her parent's insistence (?You need to learn to back yourself up!? ), and to her roommate's distress, Kerri taught herself to play guitar while attending college. Relegated to the tiny dorm bathroom to practice, she emerged from this experience determined to offer her growing repertoire of originals with a wider audience. The next years were spent honing her craft with the bands Dirty Old Hank and Gretchen, playing at Manitoba festivals and on CBC. 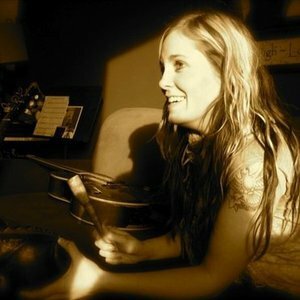 In 2005, Kerri switched to a solo singer/songwriter format, won the Manitoba Christian Talent Search, and recorded her first solo album (self-titled ? released February, 2007). That project received 2 Covenant Award nominations, Folk/Roots Album Of The Year, and CD Design Of The Year (designed by Cyndi Koshowski) as well as a WCMA (Western Canadian Music Award) for Outstanding Christian Recording. Kerri is presently an Artist In Development with Canadian indie label Signpost Music. She continues touring across Canada, and is working on her softmore album, ?Where We Were? slated for release in time for a national tour beginning in September, 2008 with Steve Bell.